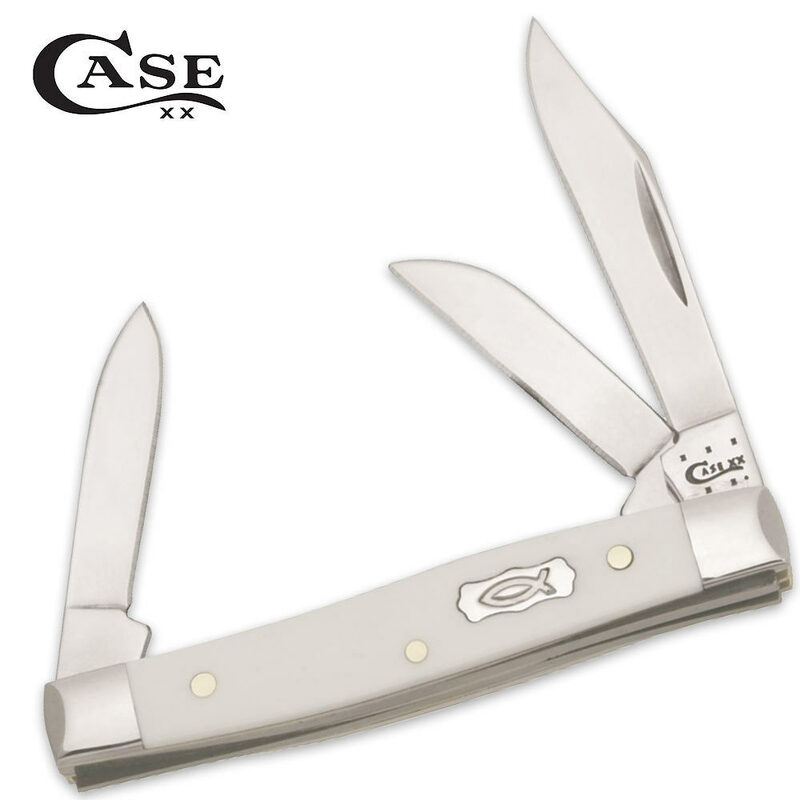 Case Ichthus Small Stockman Folding Pocket knife White | BUDK.com - Knives & Swords At The Lowest Prices! Ichthus,the namesake for this collection of Case pocket knives,comes from the classic Greek work for “fish," and is a well-known early Christian symbol. Seen on the smooth white synthetic handle of this small stockman,the ichthus is an excellent reminder of your faith each time you reach for your pocket knife. Completing this folding small stockman are razor-sharp stainless steel clip,spey and sheepsfoot blades,all polished to a mirror finish.